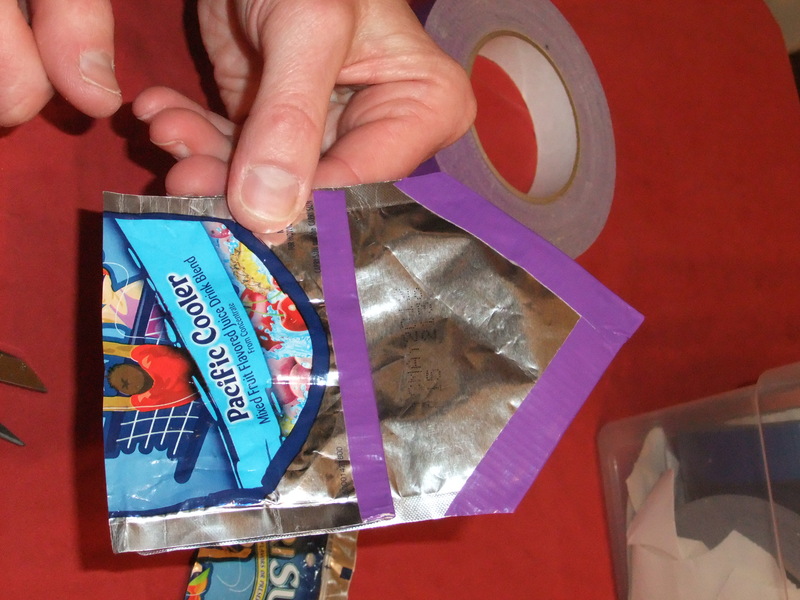 Saving the Planet with Duct Tape | Idealist Girl! So, while I didn’t actually “save the planet” with spools of colorful duct tape, I did help inspire creativity and reusable eco-chic behavior in the scads of children who stopped by the CoolMom booth today at Earth Day for Kids. 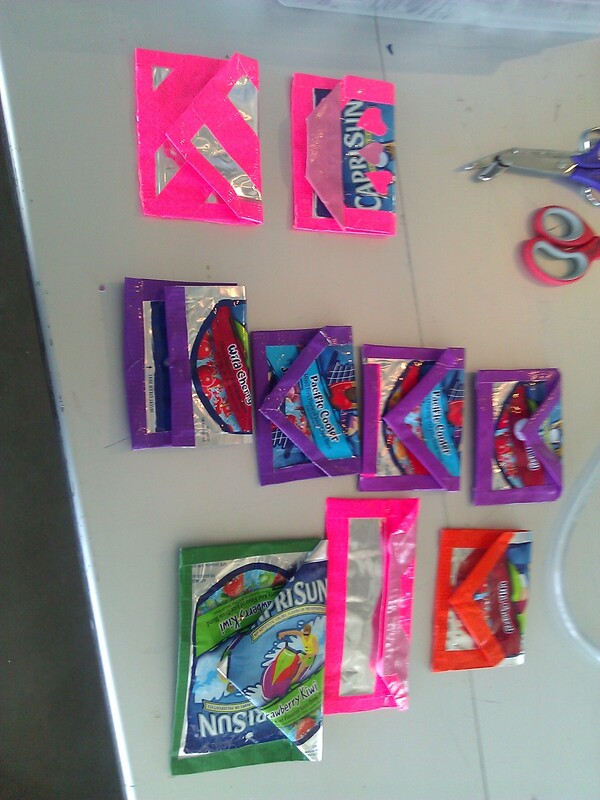 Our project was making coin purses, wallets and other little pouches from Capri Sun juice bags (pre-washed, of course). We also made some reusable shopping bags from coffee bean bags and duct tape. These were a great vehicle for talking with people about Seattle’s upcoming plastic bag ban and making the switch to shopping with tote bags. If you don’t know much about plastic bags and their role in ocean health, you should go here. Because the project was so fun and easy, I thought I’d post the instructions so you can make one at home. 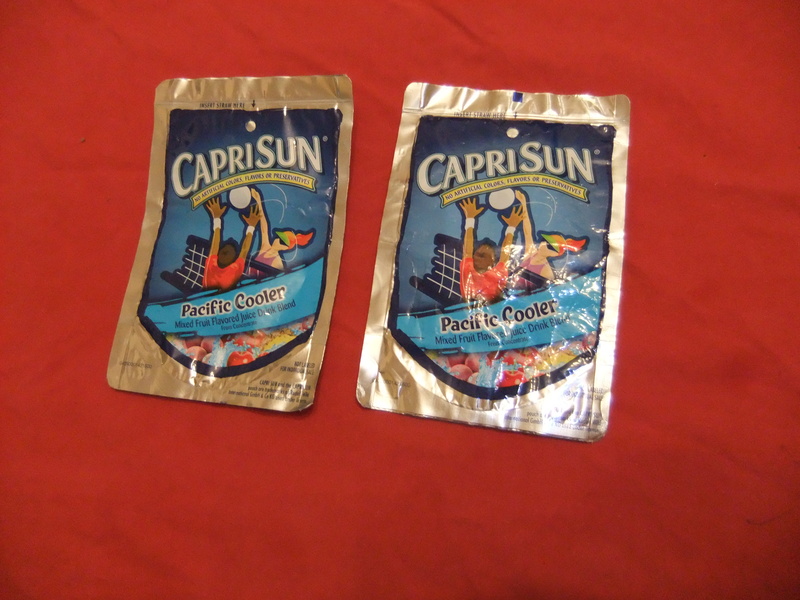 2 Capri Sun juice pouches, slit open, washed and dried. A fastener. We used the velcro dots with adhesive on the back. Step one: Cut one bag in half. Fold duct tape over the cut edge. Step two: Place the half bag on top of the whole bag so that their bottom edges line up. 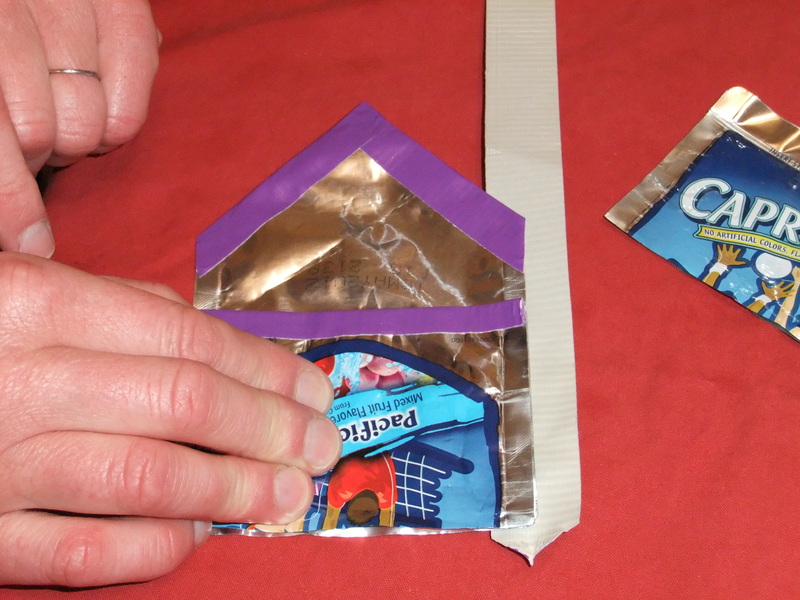 Fold the whole bag over the half bag and crease it. Remove the half bag. Place the half bag on top of the whole bag. 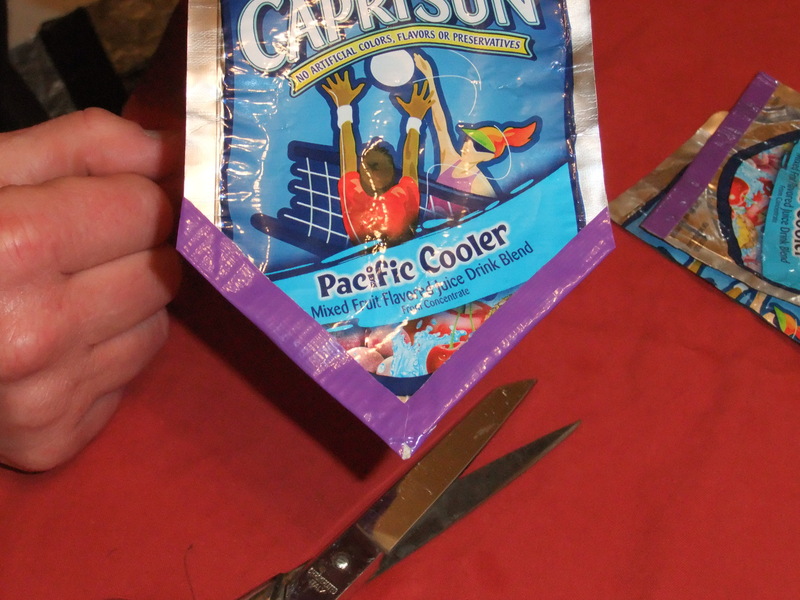 Step three (optional): Cut the top half (your “flap”) of the whole bag in a triangular shape. You can do other fancier cuts if your would like (half circle, trapezoid). 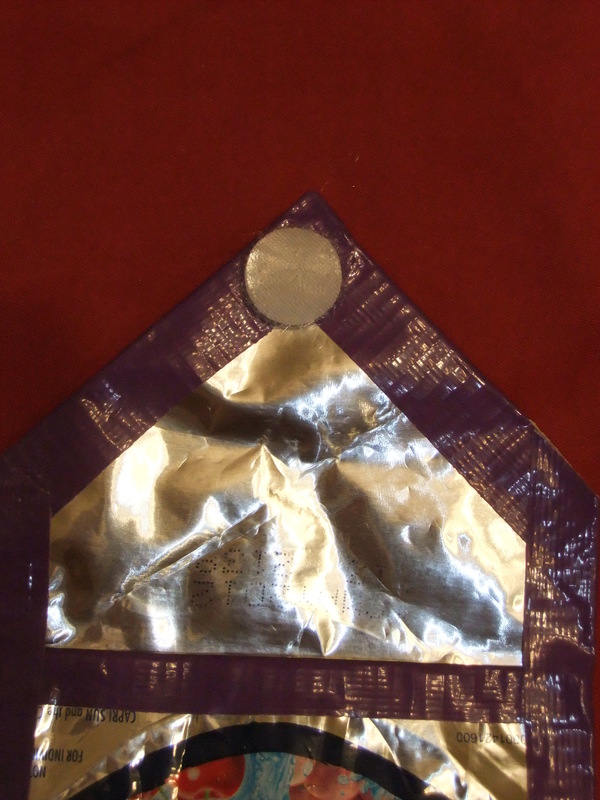 Folding the top to make a triangular flap. Step four: Cover the cut edges with a fold of duct tape. 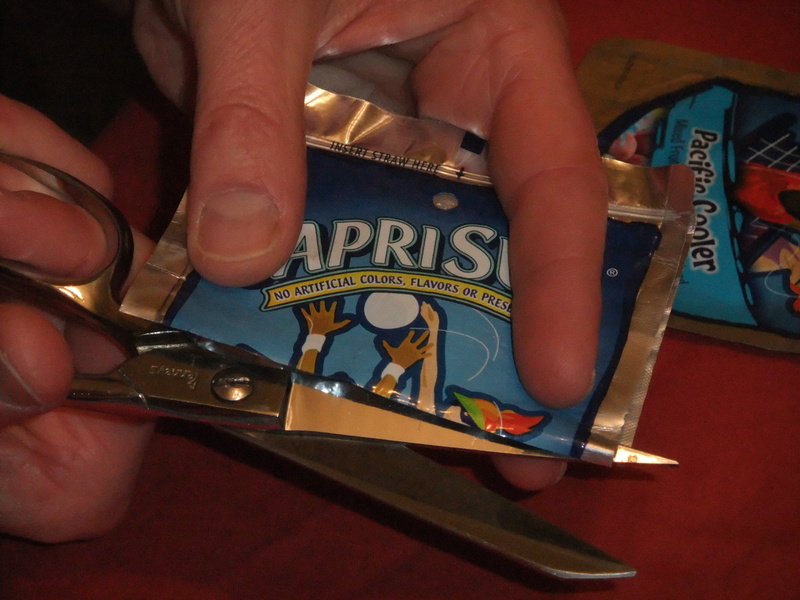 Cover the cut edges with a fold of duct tape. Step five: Lay the half bag back on top of the whole bag so that their bottom edges line up. 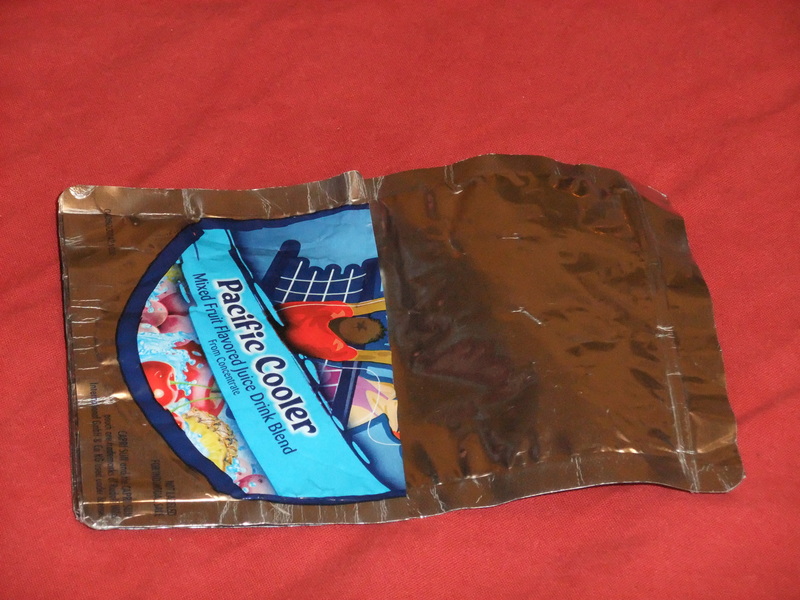 Step six: Tape along all three sides where the half bag and whole bag meet. Step seven: Place a velcro dot (both halves stuck together) on the top “flap” part of the whole bag. Make sure it is secured. Velcro dot (both halves stuck together) placed on the flap. 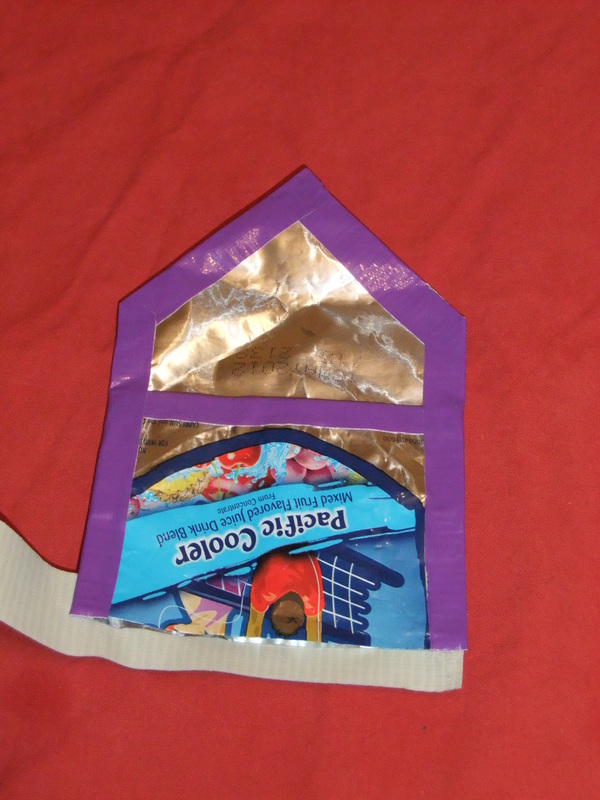 Step eight: Fold your flap over and stick the velcro dot where you would like it on the “pouch” part of the bag. Fold and press velcro dot into place. Step nine (optional): Decorate with duct tape patterns. A festive array of pouches! Ta da! 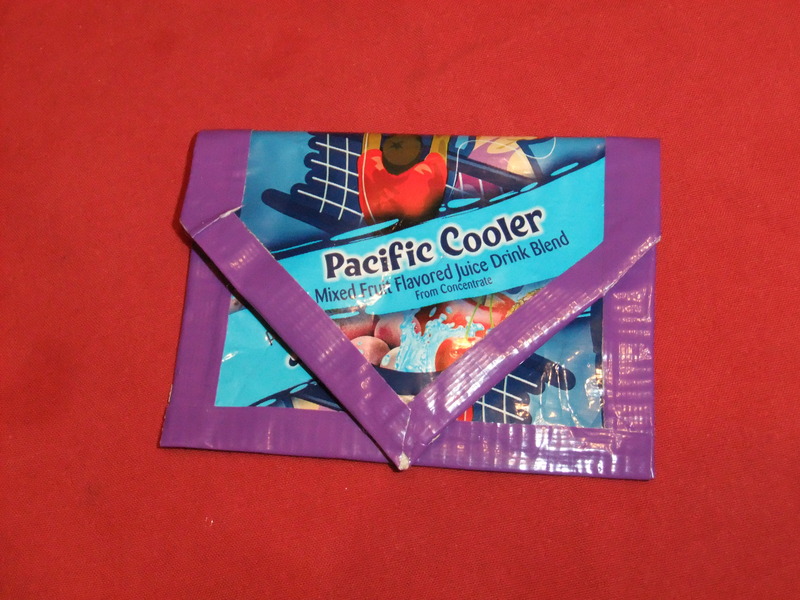 Once you’ve got that down you can experiment with taping them together in other configurations to make a wallet, coupon holder, clutch, etc. Have fun and be creative!